The Vintage Collective Markets. An ‘Event’ is a select group of vintage, retro, pinup style business sitting along side artistic, small and hobby style popups. Including some ‘new’ items from ol’s skool brands. Food vans and steel bumper rides along with kids activities and loud and rockin’ tunes makes it a fun full day our without breaking the bank. Real retro lovers with a real passion for the 1950’s to 1970’s era we celebrate. VCMPerth Events is our management arm. 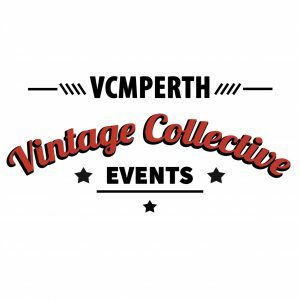 The Vintage Collective Markets (VCMPERTH Events) is a fully compliant and insured business and members of the Events Industry Association. Each event option will have stall size and stall fee that is inclusive of any individual ‘permit to trade’ council fees needed for you to legally trade on the day. (excluding food vendors) Stall sizes are defined in lots of 3×3 m. If you need more than one allocation please ensure you select the right number on the form. Have an idea. Looking for content for your next fundraising event? VCMPerth Events now hold several ‘POPUP’ events around Perth. We can bring some or all of our content to your event or create a entirely new event around your ideas! Need a car show, or markets stalls, bands? 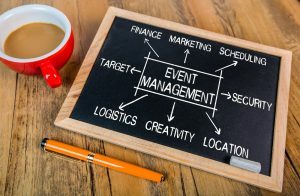 Or do you just need good MANAGEMENT of your event? Boots on the ground. site visits and venue liaison. Booking and implementation of infrastructure management. Provide Risk Management plans, identify procedural shortfalls, create supporting documentation. generate compliance documentation and liaise with local government agencies. Integrate onsite management tools with ours for client use. Provide free online booking forms, integrated email and communication lines. Full content selection management to meet client requirements. Onsite Delivery ; Management of bump in and setup at the venue, implement procedures and compliance, end of event the bump out. Post Production ; Debrief, event evaluation and analysis reporting. Looking to trial a new product or service. tired of the ‘cattle rowing’ in the industry? What to be seen and not lost in the overcrowd market scene? We now run a diverse range of events , from community collectives , food tucks and festivals. To subscribe and receive updates about all our events please pop over to this link to register!